This week brings on the official start of summer...and the western suburbs has no shortage of fun things going on to take advantage of the season. Oakley Home Builders is a sponsor of the Main Stage at this weekend's Downers Grove's Rotary Grove Fest and we'd love to send a few of you to experience a fun night out in the heart of Downers Grove. Kick back this Fri, Sat and Sun nights and listen to live music from great bands like Sixteen Candles, 7th Heaven, American English and more. TO ENTER: Just click on the link below to enter your name and email. Be sure to submit by Wed at 8pm CST and you'll be entered for a chance to win. We'll randomly select two recipients and notify you by Thursday AM. You'll just need to be available to pick up the tickets at our office at 5216 Main Street in Downers Grove by Friday at 3pm. 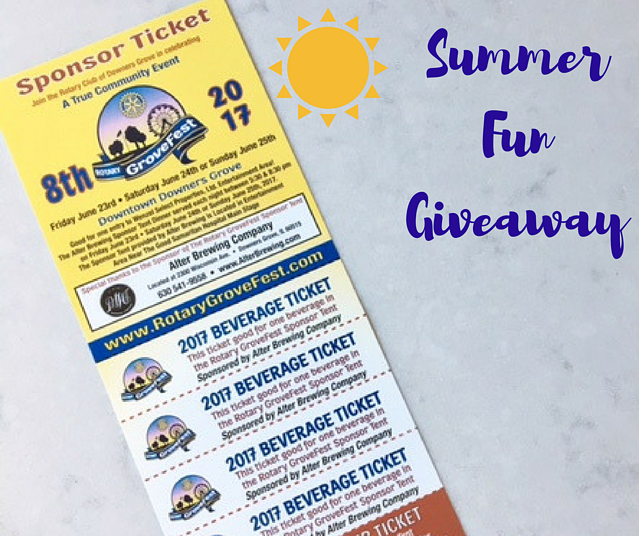 NOTE: Giveaway is not sponsored or affiliated by Rotary Grove Fest, Facebook, LinkedIn, Google+ or Instagram. You must be 21 to enter. Contest ends at 8pm CST on 6/21.